APA – Lagos (Nigeria) — President Muhammadu Buhari has expressed delight at the growing trade partnership between Nigeria and India. APA-Monrovia (Liberia) — President George Weah has been forced to work from his private residence after the discovery of two mystery black snakes in his office in central Monrovia. APA-Freetown (Sierra Leone) — Sierra Leone has assured of fixing a shortage of jet fuel which has raised concern over its potential implication on the aviation sector. 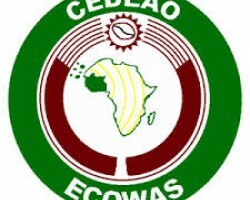 APA-Accra (Ghana) — The new harmonised mining Act which will ensure consistent regulation of the mining sectors across the Economic Community of West African States (ECOWAS), is expected to come into force by June this year, APA has learnt here on Thursday. 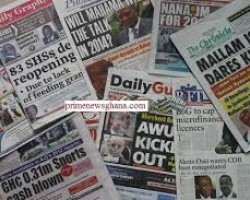 APA-Accra (Ghana) — The press in Ghana on Thursday focuses on the police swoop on motorcycle operators for various offences. APA-Accra (Ghana) — The Ghana Police Administration has announced the dispatch of a total of 14,000 police personnel across the country on Thursday as part of measures to ensure public safety during the Easter celebrations, APA has learnt here Wednesday. APA-Accra (Ghana) — Ghana has been named as the second fastest growing economy in the world this year, moving ahead of its peers in Sub-Saharan Africa, except South Sudan. APA-Accra (Ghana) — The Ghanaian press on Tuesday focuses on a $150 million project aimed at enhancing sanitation and combating floods. APA-Accra (Ghana) — Five people are now known to have drowned as heavy rains lashed the Ghanaian capital Accra on Sunday evening. APA-Accra (Ghana) — The International Monetary Fund (IMF) has predicted that the Ghanaian government may not achieve its inflation target.